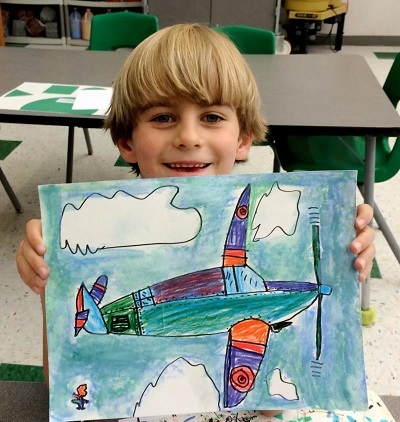 Testimonials - Afterschool Art — Afterschool Art and More! “Our son is now in the 5th grade and has attended after school art classes with Kim Murdock since Kindergarten. In a world where kids are constantly bombarded with the allure of electronica, this drawing class has been of immense benefit, in our view, particularly as more and more research shows how the use of electronic devices interferes with child brain development.
" Soomin is kindergartener and she is taking your art class every Tuesday at Mary Scroggs. Soomin loves your art class. I appreciate all your efforts for my daughter and all of your students. Thank you so much. " “ A million thanks, Kim. Seiji reported to me that his happiest news for today was YOUR art class! " “ I wanted to express my great thanks for all you did with the kids during the art classes at Morris Grove. Josh came home every week with pride at the beautiful artwork he was able to bring home and very much looked forward to the next class. Thanks for making it fun, practical and a great learning experience for the kids! " “ Kim, thank you for the wonderful art instruction. June loves your class, and you’ll see her this summer, too…and yes, we would like to reserve a spot for her in the fall. "